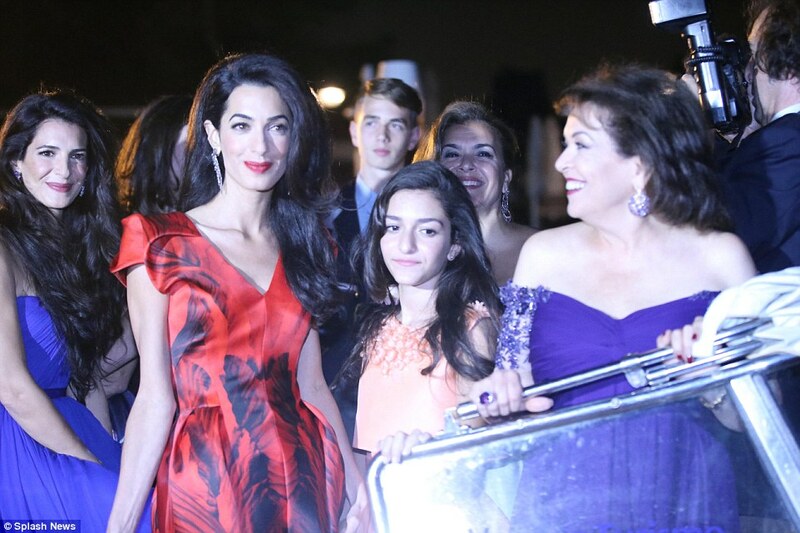 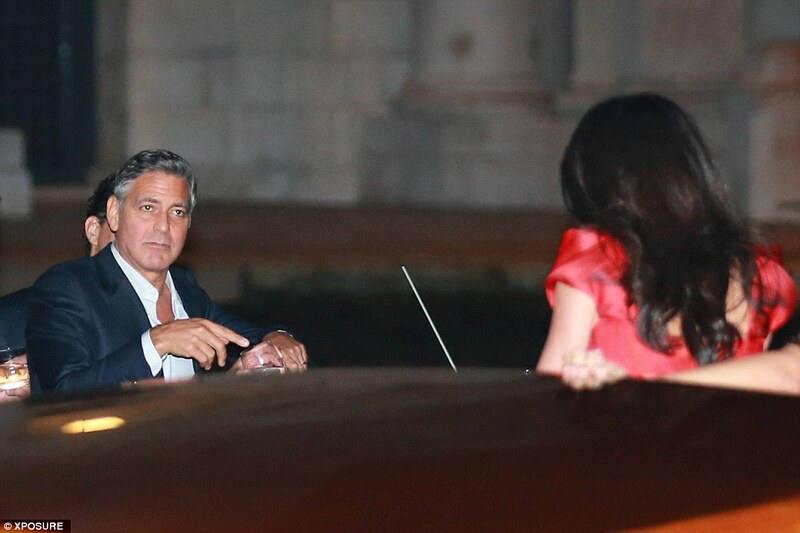 Amal Alamuddin looked radiant as she left the exclusive Belmond Cipriani Hotel on the nearby island of Giudecci, with George Clooney and their family and friends. 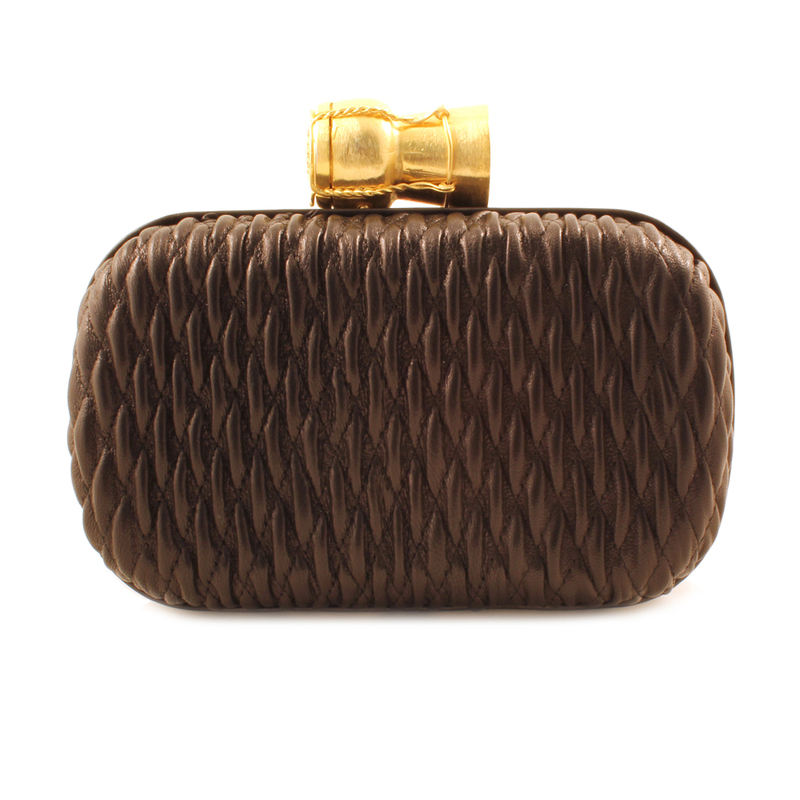 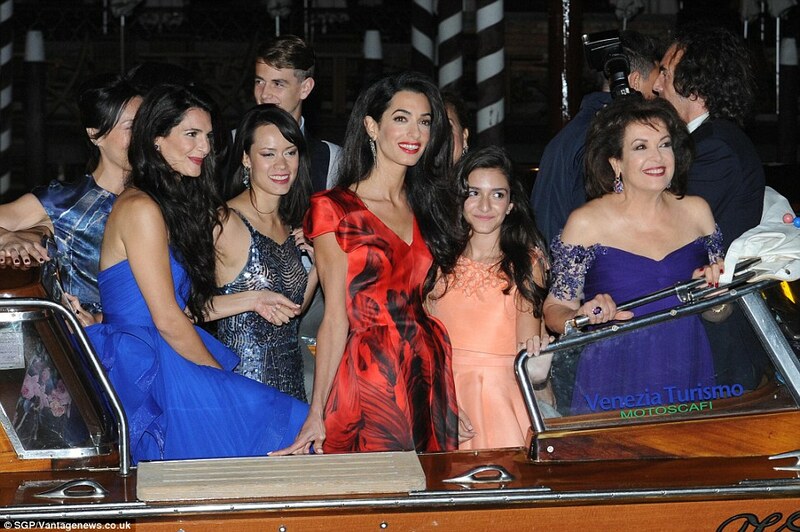 Sarah’s bag made a bespoke version with satin and gold of her Champagne box clutch for Amal in Venice. 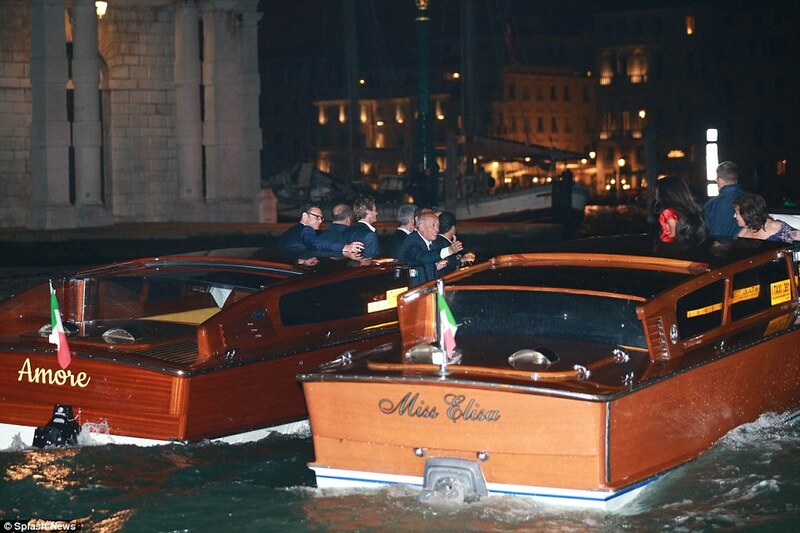 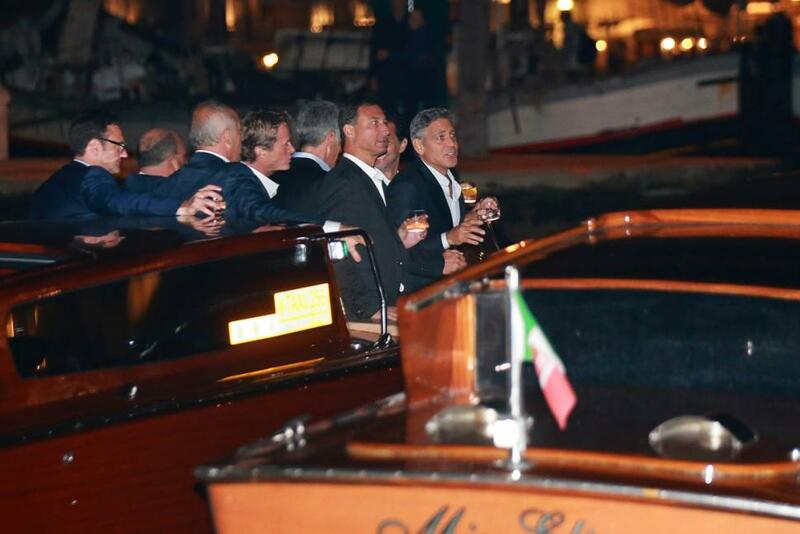 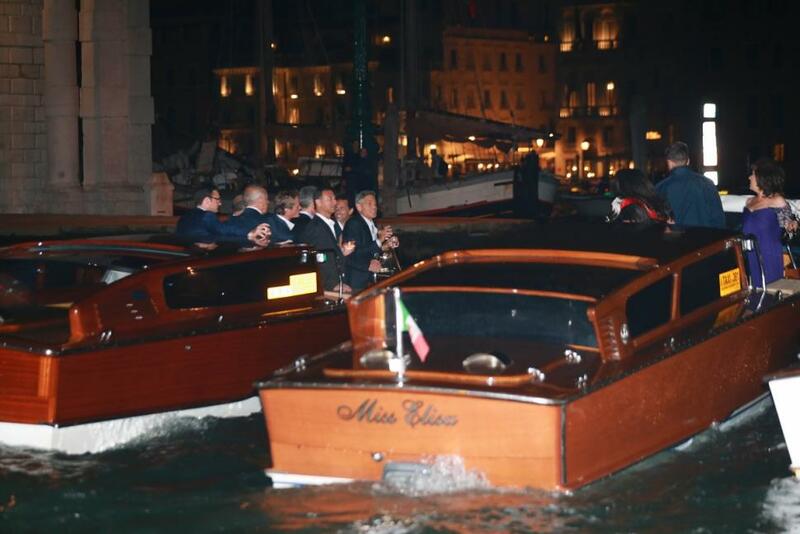 Previous Post Amal Alamuddin and George Clooney in Venice, Italy – 26.09.2014 !!!! 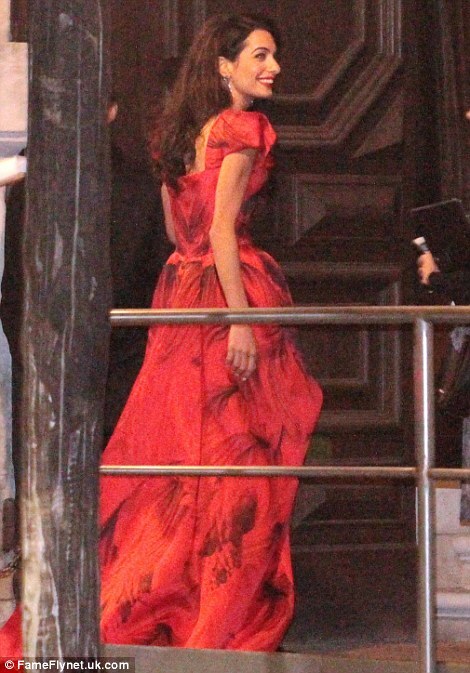 I only recently realized that the gorgeous red Alexander McQueen dress was yet another of those short-in-the-front-long-in-the-back things. 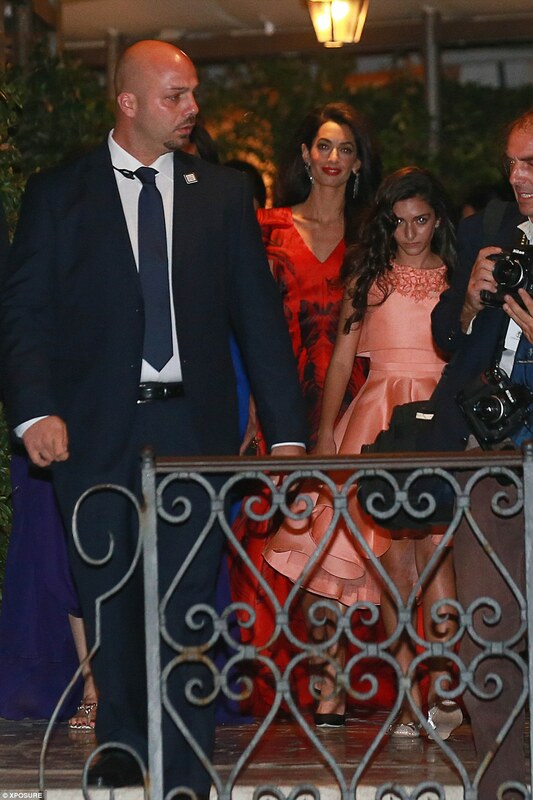 I don’t like that look. 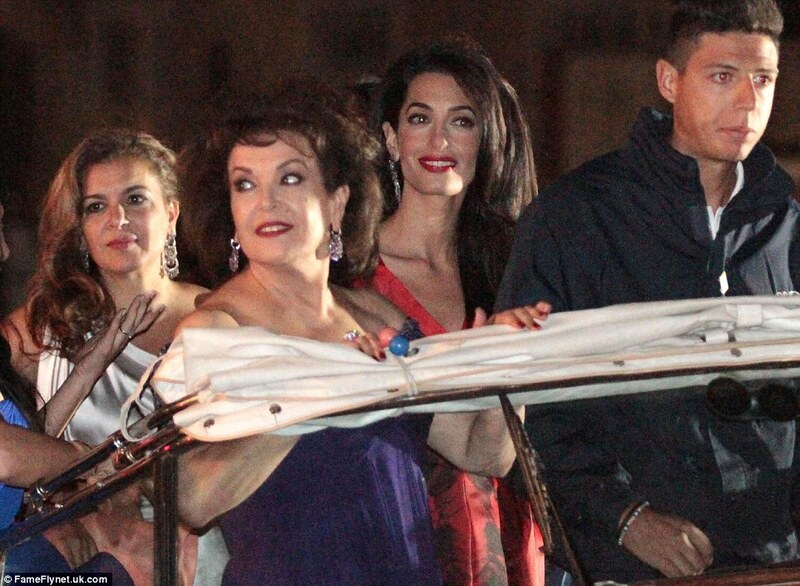 I think it would’ve been much more elegant as a gown. 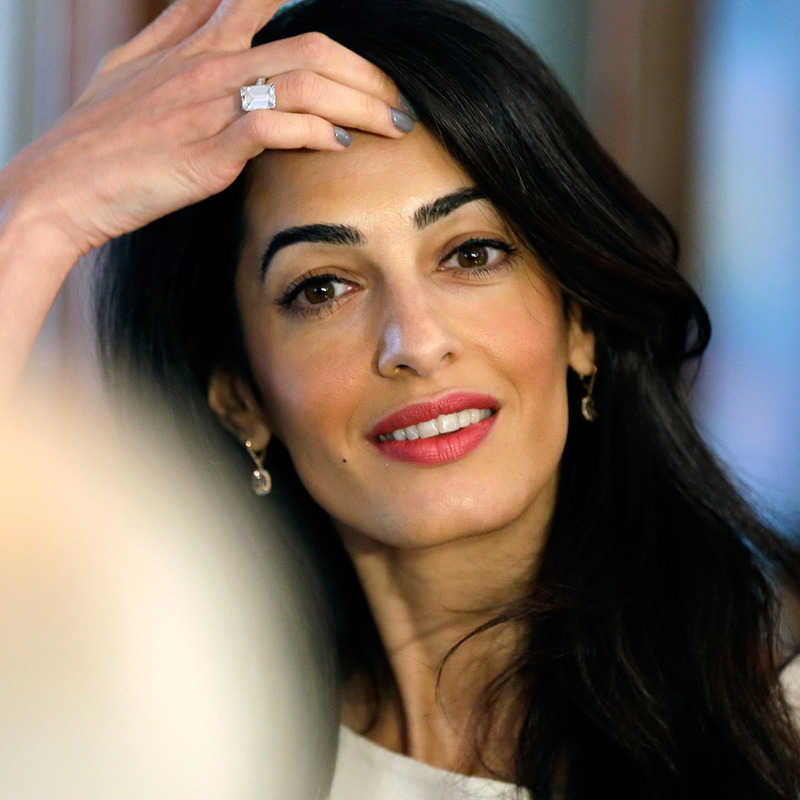 But otherwise, I love her style and I love this blog!